At Radford University, students took part in a mock crime scene competition run by Department of Criminal Justice professor Emi Moldovan. Here’s the setup: Seven student teams, consisting of three students within each team, took part in a mock CSI competition based on the 1849 Parkman-Webster murder case, one of the first investigations to use forensic science to identify the victim. Many of the participants in the competition were upper division students aiming to put to practical use many of the criminal justice and forensic science topics they’d learned about in classroom study. During the competition, students set up crime tape, followed trails of fake blood, collected evidence, interviewed suspects, asked for search warrants and even took time to speak to the media. According to professor Moldovan, some of the mock crime scenes had been so realistically created that students seeing them for the first time actually became uneasy, even frightened. 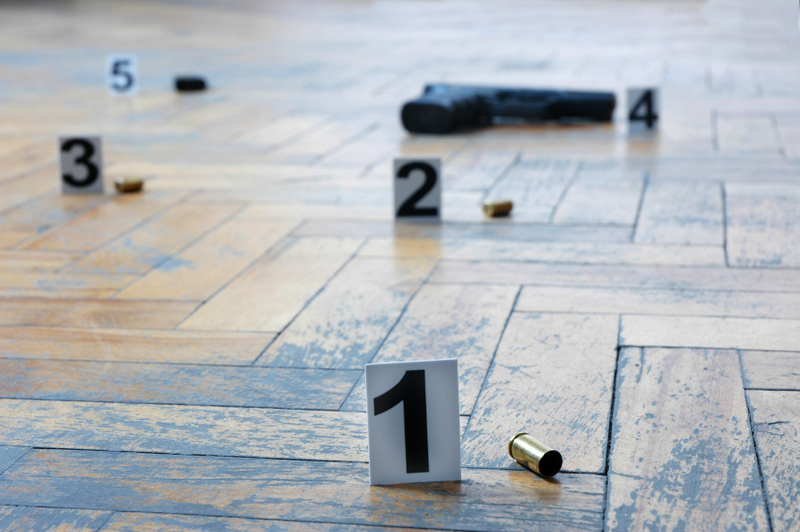 What Are the Benefits of a Mock Crime Scene? First and foremost, it’s an eye-opening experience that takes students beyond the classroom to show them the reality of their future job. Second, it’s a chance to take what they’ve learned in courses and see how to apply it to the real world. And finally, these mock CSI events can bring students together with local law enforcement personnel and start building relationships and discover more learning opportunities, as well. In a mock crime scene run by Radford University in 2015, it got real-world complicated. The crime scene was a room on campus set up by instructors ahead of time. Students practiced securing the scene, protecting the evidence and maintaining the chain of custody, and they formed hypotheses about what actually happened. Police and media representatives took part by “interfering” with the crime scene and adding to the challenge. Mock crime scenes can be some of the best preparation out there for working in the real world. Howard Payne University put students’ criminal justice education to the test recently, creating a mock crime scene with evidence pointing to a drive-by shooting. The scene included two pieces of evidence that had dropped from the car during the event, intended to help steer the student investigators closer to identifying the nature of the crime, as well as finding the killer. Overseen by HPU Department of Public Safety Chief and CJ professor Paul Lilly, the exercise’s goal was to provide applications of classroom study – such as Legal Aspects, Ethics, and Crime in America, among others. Students photographed and collected data and lifted fingerprints from the scene, carefully following an ethical and legal gathering process similar to what they will encounter in their careers in law enforcement. Another mock crime scene in Dickson City, Pennsylvania, pulled out all the stops: flour, sugar and parsley played the roles of cocaine, heroin and marijuana, respectively, while corn syrup covering a knife took the part of real blood in the educational demonstration. It was a card game gone wrong, leaving two suspects trying to explain a resulting fatal stabbing. In this exercise, students took part in interviews with the two suspects and filled out authentic Baltimore police paperwork. Having spent 14 years at the Baltimore Police Department, Dave Kostiak, CJ program director at McCann, said he loves showing students that it’s not as easy as it might look to civilians. Olivet Nazarene University junior Brad Palmer helped formulate an idea for a mock crime scene for his classmates and him to practice with. Working alongside the Bourbonnais, Ill. Police Department, they moved through a variety of learning stations, gaining exposure to a myriad of CSI procedures. Students had a chance to work with seasoned detectives as well as a Bourbonnais police chief as they lifted fingerprints, collected DNA evidence, spoke with witnesses, evaluated crime scene photography, and much more. The event – like most mock crime scenes in the U.S. – gave students the opportunity to work with local police and gain hands-on experience, a valuable introduction to the criminal justice-related fields they will enter after they graduate. Experiencing a mock crime scene can act as a bridge from classroom study to a wide range of law enforcement fields. These practice scenes are not only different from anything students have met with in the classroom, they also provide valuable preparation for making a real difference in the world.